Two page,. 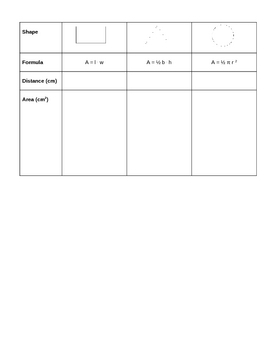 well put together worksheet. 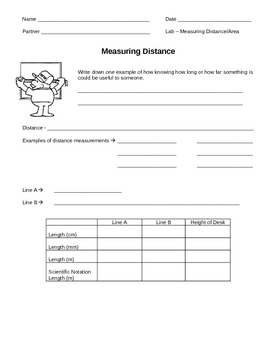 Students measure distance and calculate area. 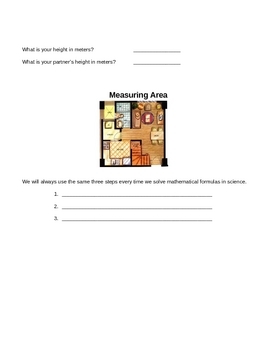 Good to use before you teach volume and density.